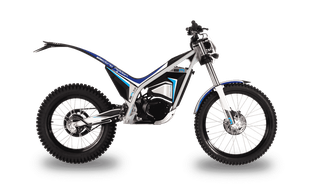 Some Electric Motion (EM) Electric Motorcycle Manuals PDF are above the page. Usually, the roar of engines and clouds of smoke are indispensable companions of competitions for any kind of motorcycle sport. However, neither of which is inherent in the bike Electric Motion EM 5.7. This light two-wheeled car is built for both competitions and leisure. Her green "heart" is an electric motor. 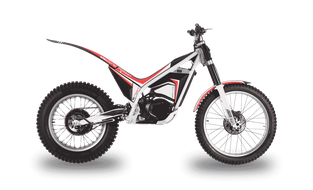 The head of the famous French motorcycle manufacturer Scorpa (Manuals PDF page) Philippe Aresten presented his own model of an electric trial bike on the market. As a result of three years of development and testing in 2011, the first production model was born. The novelty of 2012 has undergone a number of changes and improvements. According to the manufacturer, EM 5.7 can be used both for trial competitions and for ordinary driving for pleasure. The bike is equipped with a removable seat, absolutely unnecessary in the competition, but necessary when driving on roads. Among the improvements in 2012, a more solid and light frame, small changes in design, increased power and torque of the engine. The design of the front fork and rear suspension has been redesigned, the main brake cylinder has been upgraded and protected. As a result of refinement, the total weight of the electric bike is reduced to 71 kg. The heart of a quiet, but smart car is a brushless DC electric motor with a rated output of 5 kW, specially designed for a bike commissioned by Electric Motion. The engine is powered by a lithium-polymer battery pack enclosed in an aluminum cover. Its full weight along with cables, protection and measuring device is 11 kilograms. The battery is removable, 100% charge from an external charger takes no more than 110 minutes. On the battery status notifies the on-board indicator of the level of charge. The electronic clutch lever on the left handlebar and the twist-throttle on the right allow precise control of engine power. Regenerative braking, which restores a portion of the battery to the battery, is activated by the button. The electric bike has three modes of operation, the purpose of which is to reduce power consumption and bring the characteristics of the machine in line with the needs and capabilities of the "rider". The beginner's mode (Inovice) - sparing for the battery, is characterized by a reduced power and torque of the engine. Trek - a mode for rest and usual driving on roads. Finally the most difficult mode is Trial, when the machine is able to demonstrate its maximum capabilities. When asked what the sales price of the new EM 5.7 will be, Aresten said that it will differ in different countries, but will not exceed the price of a similar bike with an internal combustion engine. 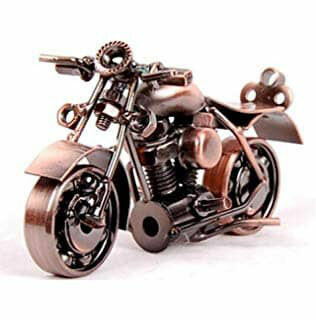 Approximately the price is 5200 euros. Read - ZERO Electric Motorcycle Manuals PDF.